Exposed bricks, large windows and reclaimed furniture create an atmosphere of industry and intimacy in this East London coffee house. Our task was to create a wall light that emphasises this atmosphere – both in terms of the design of the lighting fixture itself, and the way it draws attention to the unique features of the space. 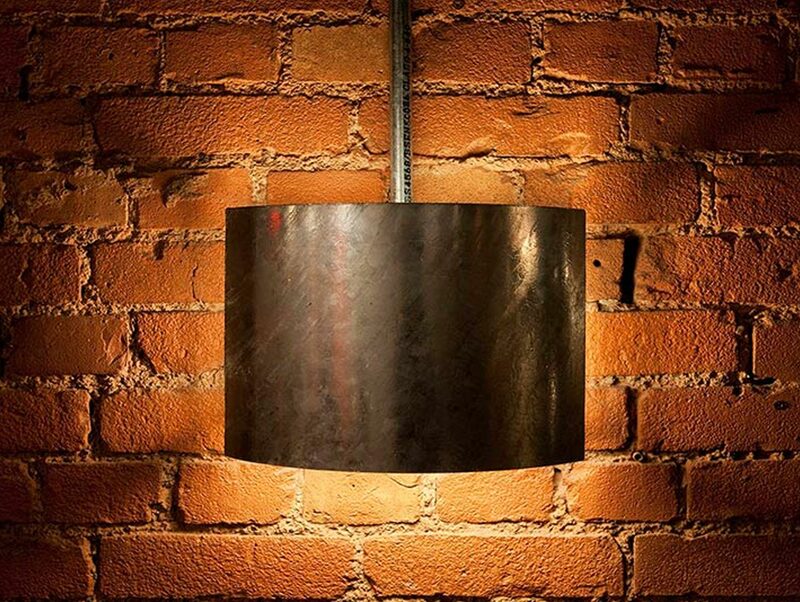 Our bespoke wall light consists of a galvanised steel shade wrapped around an LED lamp. The shade acts as a reflector, creating a warm glow that picks up on the texture of the bricks and contributes to the intimate feeling of the space. 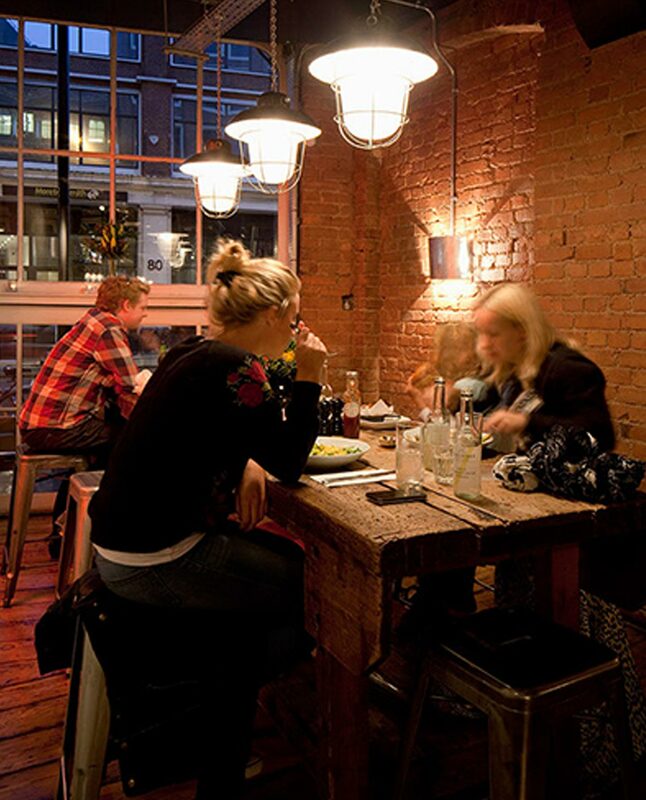 The light fitting is complemented by an exposed steel conduit to emphasise the industrial nature of the space. We purposefully kept the design simple so as not to detract from the stunning architecture – which in turn allows it to be a cost-effective solution for our client’s budget and requirements.